What's cuter than your dog wearing a Christmas dog sweater? How about your dog wearing a Christmas dog sweater with an absolutely adorable rhinestone penguin. 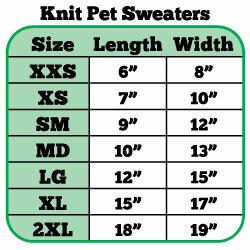 We know you can already see it in your head, how darned cute your furry friend will look in t his sweater. Hurry while supplies last though, these are popular sweaters. Your dog will love how comfortable they are and you will be happy that you got this sweater. Purchase the Santa Penguin Rhinestone Knit Christmas Dog Sweater Now!